Come see the BEST Family Fun Adventures in North Florida! Would you like some great new ideas for family fun and adventure in North Florida? Here at North Florida Family Fun Guide you can find some of the best, kid-friendly, family-fun things you can do with your family. Here is a search bar, you can type in any city in North Florida, and see if there is an adventure there. Also try typing in keywords, like Splash Park, zoo, animals, camping, etc, and find what you are looking for quickly! This site is full of personal experiences, impressions, videos and pictures of the best fun, family friendly places to go and interesting things to do in and around North Florida! You will find animal adventures, museum adventures, nature adventures, water adventures, park adventures, boat adventures, with more added weekly! Let us do the footwork, so you can choose the best family fun adventures that work for your family, and enjoy your precious free time together! Our range is expanding to eventually cover the entire state of Florida! 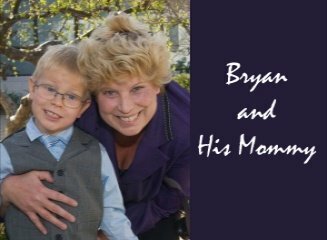 My son Bryan LOVES to be in front of the camera, and he can't wait to be your friend and show you all the fun things you can do! New Adventures of Bryan Carson! Bryan says,"Let's Have Some Fun!" Sign up for the Blog through the RSS feed, and stay up to date on all the new adventures that are added! My child is an active learner. He is very curious and physical, and it's all I can do to keep up with him. So we go places, and see things. We learn things and do things. Florida is our Preschool! Florida is our perfect classroom! Every new experience we have is an opportunity for him to learn, think,and grow. It also gives a great opportunity to explain subjects to him in real world settings. I am convinced that this kind of hands-on learning makes for very successful, well rounded, intelligent adults, like my other two grown sons! My goal of this website is to identify for you all the fun places to go and to encourage families to do fun and exciting things together, share a variety of fun adventures, to learn together, and make lasting memories. These adventures were all chosen by my son Bryan and myself. Many places gave us free or reduced admission to come in and take pictures and videos for our research. A few did not. But ALL the adventures you see here, are the ones that we chose for you, and we are bringing them to you because we feel they are the best of the best. I want to thank the small businesses in Florida who work hard every day making these types of fantastic adventures possible. Times are challenging and I am hoping that by getting their name out there, more families will visit them, and their business will prosper! Tell them you saw them here on North Florida Family Fun Guide! Here is a collection of Annual Events throughout the year, sorted by the Month, Just click on each month to see a group of adventures we have found. 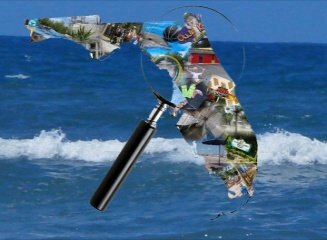 Here are some of the Best Florida Parks we have found! Serenity can be found at any number of lush, tropical gardens in North Florida! Here are the best Florida museums we have found in North Florida! Discover some amazing wildlife in North Florida's best zoos, petting farms, nature centers and wildlife sanctuaries! Come see the best of the Florida Marine Aquariums and Marine Science Centers right here! Come see the best Florida Water Parks! Come explore the best Family Friendly Resorts we have found in Florida! Here is the best collection of funny kid songs I have found! If you are ever find yourself here, then check this out! Here is a list of links I love for more family and fun adventures! Florida Creatures - A Florida Wildlife Presentation Pop Quiz: How many animals can you count in this video??? Put your guess in the Video Comments!! Come find special deals on the Florida books I love! Here is a collection of January Annual Events for the whole family! Come see some of Florida's February Events for the whole family! Come see some of Florida's March Events for the whole family! Come see some of Florida's April Events for the whole family! Come see some of Florida's May Events for the whole family! Come see some of Florida's June Events for the whole family! Come see some of Florida's July Events for the whole family! Come see some of Florida's August Events for the whole family! Come see some of Florida's September Events for the whole family! Come see some of Florida's December Events for the whole family! Fun and spooky haunted annual attraction sponsored by the Flagler Beach Police Department in October! Come see the largest one day music event in the Southeast, the Annual Deland Original Music Festival! Take a stroll with your family and friends during the month of December at the Holiday Fantasy Lights in Palm Coast Town Center. Dixie Doodles Storytime Collection 1 has 10 big adventures for little readers. Share this with a little person you know! Here is a collection of things just for the FUN of it! Come See the Annual Ormond Beach Native American Festival in January! Come visit the Florida State Bluegrass Festival every April, in Perry, Florida! Forest Capital Museum State Park is full of history of the Terpentine industry, and it's own cracker house settlement from the 1900's. Come see the Walter Jones Historic Park in Mandarin for their Annual River Celebration Day. Full of family fun, and music! The Walter Jones Historical Park in Mandarin Florida, is hope to the Mandarin Museum and Historical Society. Come see the museum full of salvaged items from the Maple Leaf shipwreck. Race Fans , kids and parents will all love this build a model car factory in Orlando called Ridemakerz! Come see the Pioneer Florida Museum and Village in Dade City ! Gamble Rogers Folk Festival is an annual event in May, celebrating the life and legacy of the popular folk legend, Gamble Rogers. This event takes place in the heart of St. Augustine, multiple stages. Come visit the Marine Discovery Center, and learn all about oyster restoration, marine habitats, and take an Ecotour on the Indian River Lagoon! Summer Camps available! Come see the majestic balloons and fun children's activities at the Seaside Balloon Festival in New Smyrna Beach! The biggest and best Folk Festival in Florida comes around annually in May , celebrating the art of songwriting/ performance, crafts, early american skills, living history, seminole indians and more! Brand New family attraction fun for the whole family. Learn all about how Pirates lived with interactive kiosks, hands on replicas, and real treasure. This is a fun way to learn about history! Come explore some fun family adventures in North Florida!